In 1983 the little known archeological site of Machu Picchu received UNESCO World Heritage status. 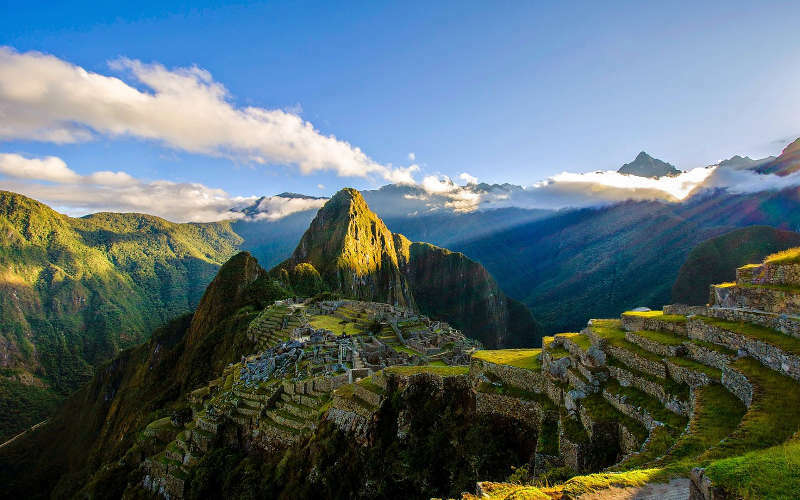 Since then Machu Picchu has become one of the most popular tourist destinations in the world, with traveller numbers surging past 1 million visitors in 2008 and many new accolades being awarded. At the time the Peruvian government, in consultation with UNESCO, took the decision to limit daily visitors to 2500 – an initiative that was seen as a significant move to try conserve the famous site. In reality though, visitor numbers frequently went above 2500 due to the various ticket type combinations. At peak times of the year actual visitor numbers are often as high as 3800 people per day. To combat the issue of increased visitors the government has now decided to implement new Machu Picchu regulations, which will use timed-entry tickets in addition to daily quotas to control access to the site. The new system is due to launch on 1st July 2017. The main changes to the regulations are outlined below. Starting on 1st July 2017 and running for a period of 2 years, Machu Picchu entrance tickers will be split into two entrance times – Morning (AM) Entrance will be from 6am–12pm and the Afternoon (PM) Entrance will commence from 12pm–17:30pm. Visitors to the site will be restricted to their time frame and will need to leave the site before their entrance period expires. Moreover, visitors will not be able to re-enter once they have left, unless they have an afternoon ticket. No more lazy days exploring the site! Visitors and guides who fail to leave the site within their timeframe will be removed by authorities and may face a fine. Entry into the site will from the 1st July 2017 require that visitors are accompanied by an official guide. This is a significant change and a key component of the new regulations, as the guides will be partially responsible for enforcing the rules. 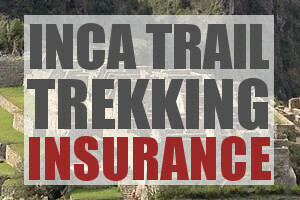 Guides can either be official Machu Picchu guides or licensed tourist / trekking guides. All guides will need to carry valid guide identification to enter Machu Picchu and will only be permitted to take a maximum group of 16 people into the Citadel. Upon entry guides will need to sign in and sign out all visitors in their group. It is still unclear whether guides will be required to accompany visitors who have elected to hike Huayna Picchu or Machu Picchu Mountain. The new regulations propose defined routes that visitors will need to follow through the site, but it is still not entirely clear how this will be implemented. The route will no doubt need to take visitors past all the main sites, but due to some areas being of more interest than others it is likely that traffic jams will form. The government has assured operators and guides that the routes will be designed to separate crowds and prevent visitors from stopping at one highlight for too long. How this plays out in practice is yet to be seen though. The new regulations also prohibit re-entrance to Machu Picchu, which means once you are in you can’t leave and come back in. This is clearly a problematic regulation as currently the only toilets at Machu Picchu are outside the entrance. The new rules do state that they will allow re-entrance for special circumstances, so one would hope a toilet visit is enshrined in the word ‘special’! For visitors wishing to spend more than half a day in Machu Picchu, they will need to purchase two entrance tickets. Any idea how I can get a guide if I buy entry tickets separately? You can arrange a guide outside of Machu Picchu or in Aguas Calientes, the town below Machu Picchu. Cheers! 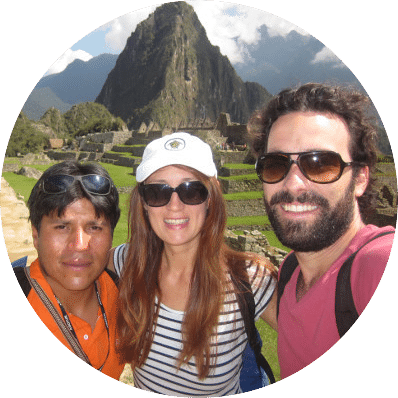 If I hire a guide ourside the Machu Picchu, what is the price for two person? so I can prepare before I go. And do they have a guide for a group of 16 for people to join in at the Machu Picchu? Hi Ann, the price varies by tour guide. Unfortunately I don’t have any up to date pricing for individuals or groups. How do the guides deal with individuals who want to hike up to the Sun Gate and back? Hi Mike, I’m not sure how the new regulations effect walking up to the Sun Gate. In times past you could just follow the trail up to the Sun Gate from within the Citadel. I suspect they will have a similar setup now as almost everyone who hasn’t hiked the Inca Trail want to walk up to the Sun Gate. Sorry I can’t give you a more definitive answer. Where do you find the information about the 2500 visitors a day to Machu Picchu? I’m writing a master thesis about it and need a reliable source. Did you find it on Unescos website? This looks absolutely amazing! Would you recommend to bring the warm hiking gear? Or is this something you could rent there? Hi Sweety, I would recommend bringing warm hiking gear with you, although if you find you are missing something you can easily hire or buy in Cusco. A very nice blog for a very nice place.